In 1973, Margo Brown was a college student whose interest in zoology led her to major in wildlife management. That same year she took an introductory ceramics class. 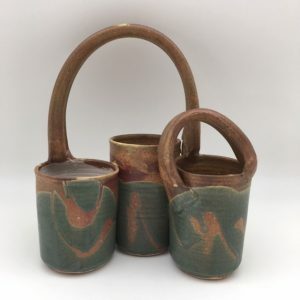 By 1976, finding herself obsessed with clay, and realizing that what she wanted was to make pots, she began to study at Big Creek Pottery in Davenport, California. In 1978 she did further study at the Sun Valley Center for the Arts in Idaho. 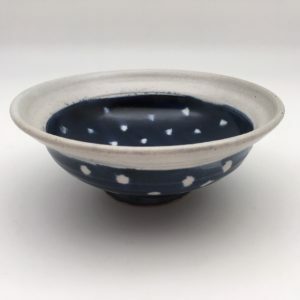 A fulltime potter since 1977, she works mostly in high fired stoneware, but also with porcelain. Working in her backyard in Buffalo, Wyoming, Margo fires her pots in a downdraft gas kiln that she built herself. 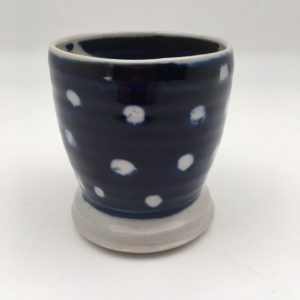 Her pieces are intended to be used, and no lead, barium or other harmful substances are used in the glazes. 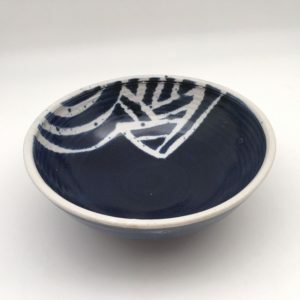 Margo sees her pottery as a link between herself and the customer and hopes that each piece has an active life in its new home. Margo Brown currently sells all her work at her store, Margo’s Pottery and Fine Crafts, and these are just a small sampling of what is available. 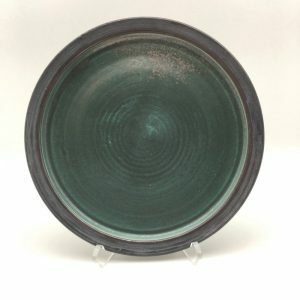 If you are interested in other pieces, please e-mail, and we will send more photos. Please e-mail or call us at (307) 684-9406 for more examples.